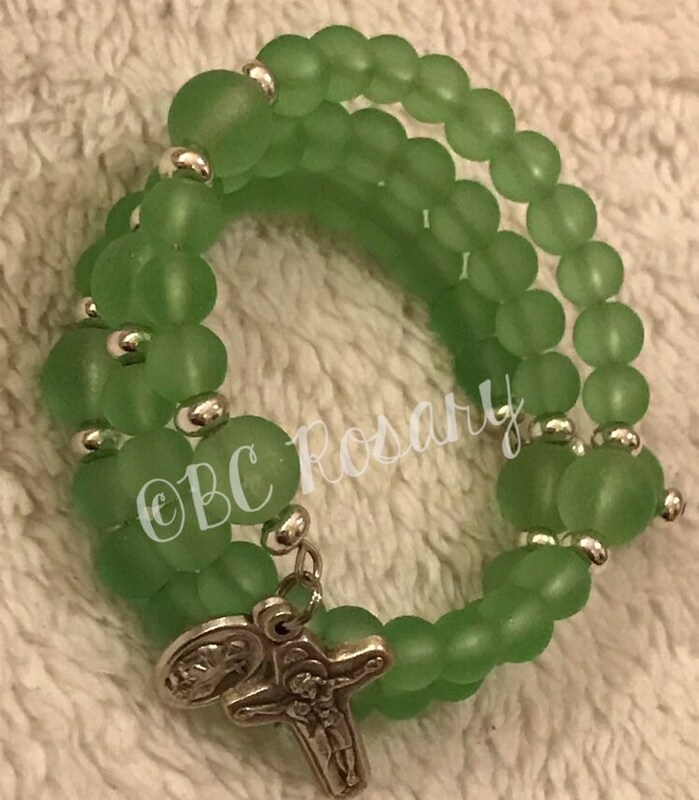 This memory wire rosary bracelet is a complete rosary with all 5 decades and intention beads in beautiful 6mm round green recycled glass beads. The Our Father beads are 8mm surrounded by silver accents. 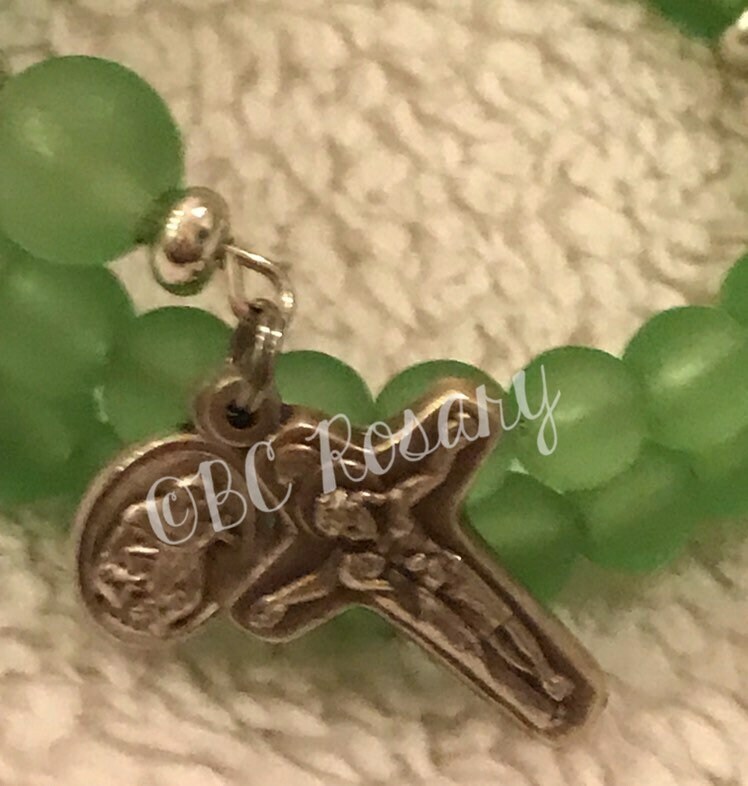 A medal of St. Christopher & St. Anthony paired with a beautiful Crucifix featuring Mary at the Cross completes this bracelet! The memory wire stretches to fix most wrist sizes! We accept all credit cards & Etsy gift cards. For alternate payments (Checks, Money Orders) please contact us! Items ship via US Postal Service within 1-3 days from ordering. Normal shipping arrives to US destinations around 4 days time. Choosing Priority speeds this along to 2-3 days max. Of course, if your item arrives damaged, please let me know as soon as possible, I will gladly make any repair necessary. Also, if you are dissatisfied for any reason, you may return the item for a full refund within 30 days, this does not include return shipping. 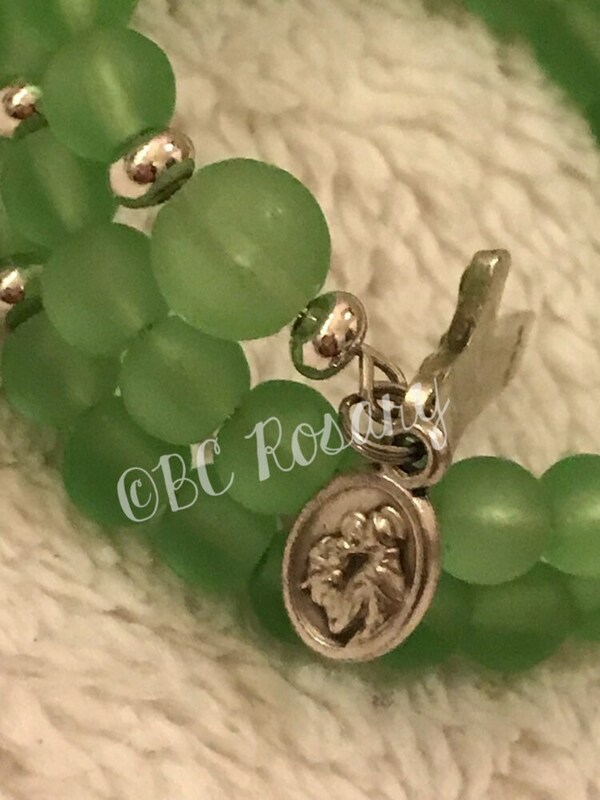 For instructions on the Most Holy Rosary of the Catholic Church or the Ecumenical rosary of Protestant prayers, visit https://www.facebook.com/BCRosary/notes or contact me via email and I can send them to you!